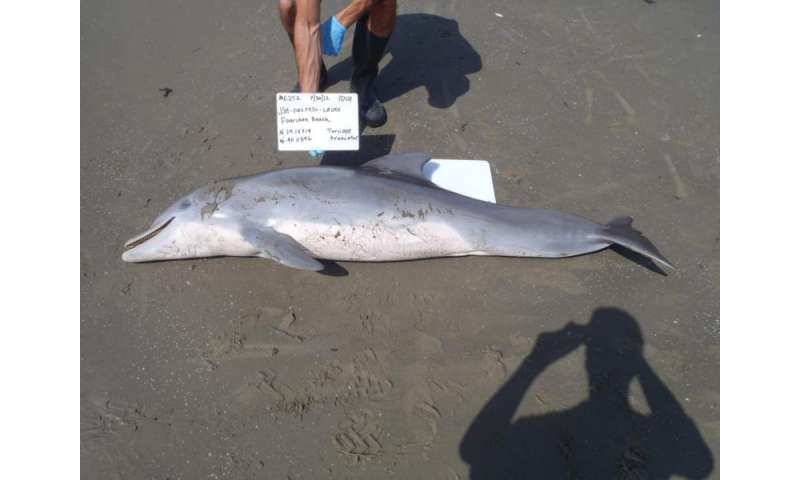 As part of an unusual mortality event investigation, a team of scientists has discovered that dead bottlenose dolphins stranded in the northern Gulf of Mexico since the start of the Deepwater Horizon oil spill have lung and adrenal lesions consistent with petroleum product exposure according to a paper published today in the peer-reviewed online journal PLOS ONE. Increased susceptibility to primary bacterial pneumonia, possibly due to lung injury, or alterations in immune function. Animals with untreated adrenal insufficiency are at risk of life-threatening adrenal crises. The adrenal gland produces hormones - such as cortisol and aldosterone - that regulate metabolism, blood pressure and other bodily functions. 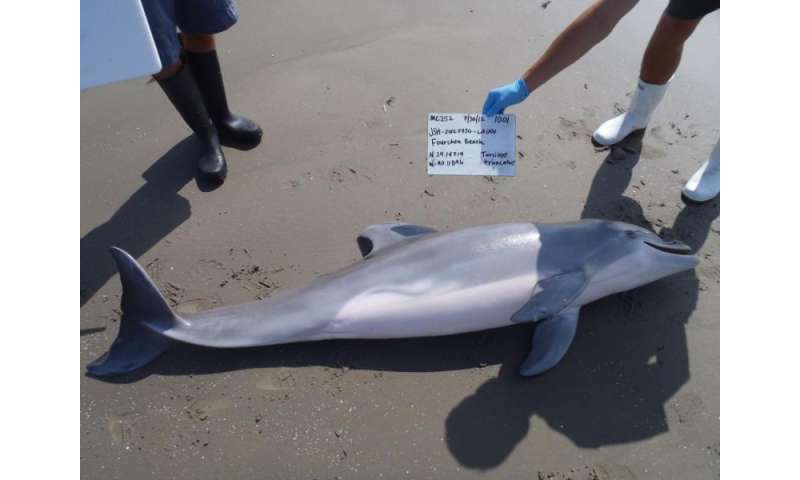 "consistent with petroleum product exposure"
As there are hundreds of natural oil seeps occuring in the Gulf all the time, I rather suspect the petroleum product responsible for the fatalities was the Corexit, and not the leaked oil. Corexit, AFAIK, is the nastiest of the by-products from the refining industry, nobody wants it, they had millions of gallons of it, so they call it a dispersant, and get rid of it in the ocean. 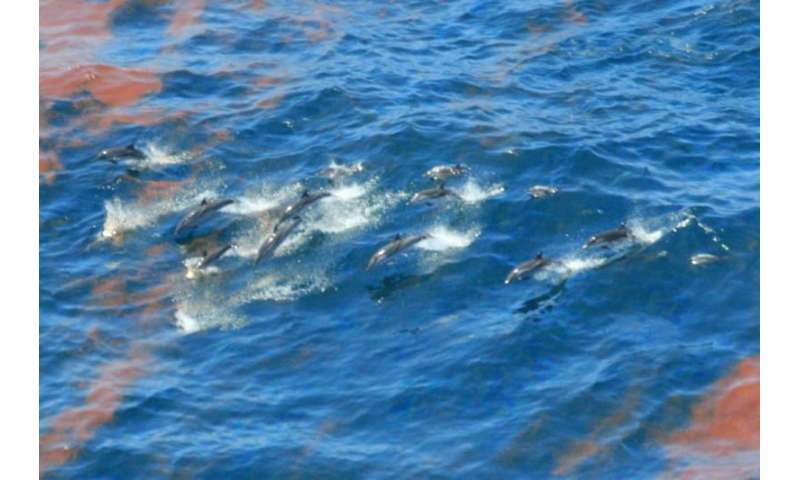 Annual natural oil seepage distributed throughout the entire Gulf is estimated at 70,000 tonnes/year whereas the BP oil spill released 700,000 tonnes, most during a period of 87 days, i.e. 40x the annual rate. Each of these low-volume natural seeps has its own unique chemical signature and unique set of bacteria adapted to that seep, so the bacteria are already working on breaking it down at the point of release, vs. the BP disaster which released an immense amount of oil from a virgin location.